Sharm Holiday Rentals, Sharm el-Sheikh Best Price Promise! 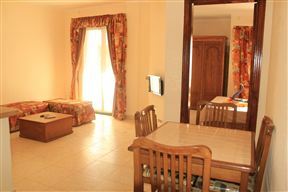 Sharm Holiday Rentals offers comfortable one-bedroom apartments located in a lovely, quiet and peaceful resort in the heart of Naama Bay and only five minutes by taxi to Old Sharm. The resort has four swimming pools and beautiful landscaped gardens. This private studio, situated in the beautiful Tropicana Sea Beach Resort, is located in Sharm El Sheikh, 200 meters from Nabq Bay. 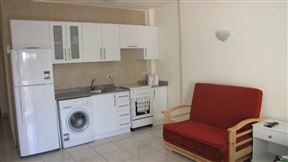 The apartment offers self-catering accommodation for two adults and two children.